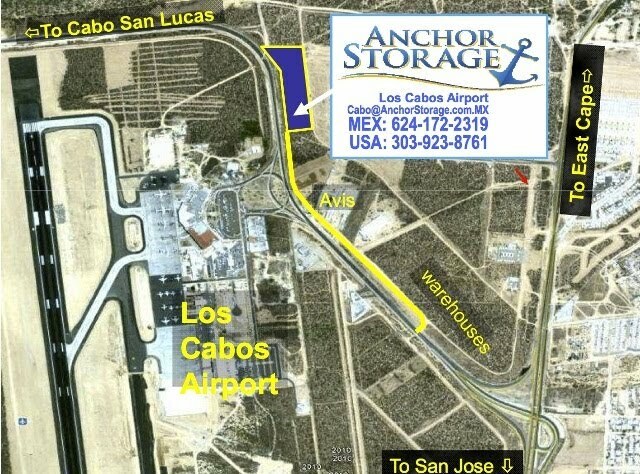 Fro m Cabo: Take the toll road and as you make the last bend to the airport, we are on the left. But go further to the entrance to the frontage road by the big warehouse, and double back, past Avis to the end of the road. That's us! From San Jose or East Cape: As you make the last turn heading to the airport, there is a quick right-then-left turn onto the frontage road. Go to the end past Avis.